Homeschooling any student comes with its own set of challenges, and special needs students are no exception. However, homeschooling can benefit a special needs student like nothing else can. Parents can easily schedule the school day around any necessary doctor appointments or therapy visits, and more importantly, make sure the students learn in a style that works for them. A child’s yearly cognitive and behavioral baseline. Diagnostic reports, doctors’ reports and therapists’ evaluations. Specific instruction accommodations, modifications and/or adapted curricula their child requires. Assistive technology needs of the student. Individualized goals and evaluation of those goals throughout the school year. Parents can track the above items in a single clear and concise document called an Individual Education Plan (IEP), which professionals in the special needs community are accustomed to receiving when accessing data for special needs students. Not only does an IEP help the homeschool parent keep track of data, but it also helps parents in advocating for their child’s needs when the student requires the same accommodations, modifications, assistive technology and/or adapted curriculum outside their homeschool. 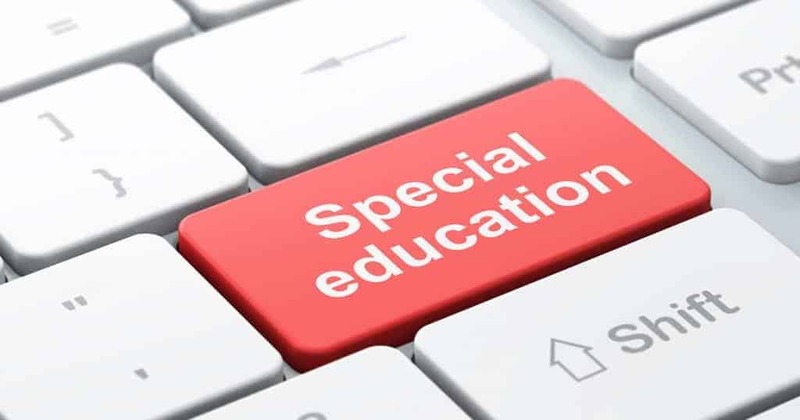 Texas law requires public school districts to provide optional services, such as crafting IEPs, for special needs students regardless of what school they attend. Public schools put together IEPs for their own special needs students every day, and these IEPs are used in various ways to advocate for special needs students. Therefore, to make communicating with others easier for the special needs homeschool parent, THSC has developed an IEP template similar to many other IEP templates used by Texas school districts. Using this IEP template makes it easy for those used to the public school system’s record keeping to understand and meet your family’s needs. Creating history with yearly IEPs. Yearly baseline status to measure each student’s unique progress. Unique goals for measuring academic and non-academic progress. If you want to know more about homeschool parents’ right to create their own IEP document, read Homeschooling Your Special Needs Student With an IEP. Often the biggest hurdle in starting to homeschool a special needs student is finding the best curriculum. Flexible, multi-sensory and adaptable elements to a pre-packaged curriculum are best for teaching students with learning difficulties. Focus on finding curricula for the basic required subjects first. Pick a curriculum that fits your student’s needs, your teaching style, and the logistics of your homeschool environment. A child who expresses interest in using computers or handheld devices will not necessarily succeed well with a computer or app-based curriculum. Teaching subjects at your student’s cognitive level will greatly improve comprehension. Many curriculum providers offer a free trial period to evaluate your student’s starting level for each subject and the overall fit of the curriculum to your schooling. Good citizenship is not rigidly defined as a subject, nor are there many curriculum products written specifically for this category. Electives such as government, social studies, social skills, therapy and volunteering opportunities are often used to meet this subject requirement. The list below represents a handful of personal favorites. For a more comprehensive list of curriculum recommended by other Texas special needs homeschooling parents, visit the special needs section on THSC’s website. Worksheets and other resources for various subjects and age levels can be downloaded for free at this website. Although there are many variables involved in answering this question, I try to help this parent realize that sitting still does not mean learning is happening. Additionally, quiet desk work isn’t always the best learning method. In fact, learning and movement go hand in hand. Many new studies decisively show that lack of movement actually decreases overall brain function, thus increasing the overall time a child needs to process new data. The science behind how movement affects learning has to do with the delivery of two very important chemicals to the brain, which stimulate faster thinking. In an active child, oxygen and glucose are constantly being delivered to the brain. However, when a child sits, it takes less than ten minutes for those resources to be pulled away from the brain and for learning to slow down and a sleepy state to set in. Unfortunately, most research done on the connection between learning and movement is done on test subjects who are typical learners—not children with special needs. What Does Research Show About How Learning Should Occur? Eric Jensen, cofounder of SuperCamp, the nation’s first brain-compatible learning program, states in his book Teaching with the Brain in Mind that movement in a special needs educational setting can be a game-changer. Why? It helps students get past learning barriers that the traditional “sit in your seat and learn” type of teaching exacerbates. Jensen states: “Many teachers have found that programs that include movement help learners with special needs. Several hypotheses may explain this phenomenon. Many special-needs learners are stuck in counterproductive mental states, and movement is a quick way to change them. Do flashcards while pacing the floor. Put math facts on sheets of paper at your student’s hand height up a flight of stairs. Have the child touch the sheets one at a time while repeating the information. Go beyond sitting and listening to songs that teach educational facts. Make up movements to go along with songs. Practice storytelling while on walks. One person thinks of three things to be included in the story and another person makes up and tells the story. Buy washable window markers and have your students do their writing on the window while standing. Or, add a large blackboard to your classroom. Do longer read-alouds while your children are eating lunch or folding clothes. Create a hopscotch grid and have your students “jump out” their spelling words. Practice sight words by putting them on a wall, then have your child read them after shooting them with a Nerf gun. Have your student skip count while jumping on a mini trampoline. Graph math equations on the driveway with chalk. Instead of doing matching activities with pen and paper, write out the items to be matched on post-it notes and have your student tape yarn to connect the matching items. Have an older child practice writing skills by creating a scavenger hunt with handwritten clues that need to be written clearly and concisely for the hunter to understand and follow. Although it would be nice to adapt all learning activities to include movement, this is not always possible. Thus, I urge parents to alternate their students’ seated learning time with active learning and to limit the seated activities to 10-minute chunks. Over time, students may adjust to increased seated learning time. If not, switching from inactive to active learning is a good coping skill into adulthood. If you have more questions about how to homeschool your struggling learner or special needs child, visit the special needs section of the THSC website. In addition to planning specific teaching methods for regular school days, parents should prepare for inevitable disruptions, like visiting the doctor’s office. Having a special needs student means your doctor or therapist may become your best friend. However, visiting the doctor doesn’t have to disrupt the entire school day. Bring your schoolbooks to the appointment. Your students can keep themselves busy in the car or waiting room. Read assignments or storybooks aloud in the waiting room. If your homeschool uses songs or audio books to teach subjects, listen to them in the car during the drive to the doctor. Load those same songs onto your phone or iPod and let the students take turns listening with earbuds in the waiting room. Use the visit as an opportunity to introduce a new topic. For example, after renewing a prescription for glasses, discuss the anatomy of the eye. Use the down time to quiz your students on important lessons, like multiplication tables or state capitals. Come prepared with enough work or discussion material to keep both you and your students busy for quite a while in case the appointment runs long. Allow your students to play educational mobile games (like Stack the States) during the appointment. Unfortunately, sometimes it just isn’t possible or practical to bring every student along to a doctor’s appointment. Some students are easily distracted and lessons may have to be repeated at home later. If you feel comfortable leaving some of your students home alone or with a babysitter during an doctor visit for your special needs student, plan the day’s schoolwork and let them teach themselves for the day. Finally, if all else fails, don’t be afraid to drop schoolwork entirely for a doctor visit. Homeschooling gives you the freedom to take time off and make up schoolwork in better conditions. Consider your students’ learning tendencies and the possibility of learning during doctor appointments, and plan your schedule to be best both for your students and for you. Homeschool parents know how important is is to evaluate special needs student progress each year. But, as we know, most tests do not reflect each student’s true learning. Moreover, evaluating a special needs student can be frustrating. Evaluation standards are often made within observations windows that are too limited, treat progress as static instead of fluid, and use incomprehensive measurables. Progress happens over time. Therefore, trying to evaluate progress over a 9-to-12-month window will limit your view of each student’s overall learning curve. Instead, evaluate learning over a wide span of time. This will provide more accurate data for the reviewing process. Plus, the historical record will capture victories, gaps and recurrent learning trends that are usually missed when evaluation windows are too small. When tracking yearly progress, comparing one student against another student or against a baseline standard is like comparing two runners on completely different tracks. The two tracks may cover the same distance, but they have very different terrain and obstacles. The true measurement of progress for your student should be based on an assessment of forward movement that is suitable to them and their circumstances alone, not compared against an arbitrary average or another student’s progress. It’s also important to remember that special education requires more time and can slow down parts of the day. It may not be possible to both finish the day’s schoolwork and vacuum downstairs. Effective teaching takes time, but in the long run, special needs students will benefit immensely from prepared lessons catered specifically to their needs. Steady and constant movement towards a learning goal is atypical even for non-special needs students. Instead, most students will work at a slower pace in preparation for a sudden burst forward. This is especially true for students learning complex skills. Then, once a student mentally connects specific material, the related tasks usually quickly follow suit. When reviewing your student’s progress speed, always watch for this fluid motion. It is a good indicator that your student needs to master a specific area before they can leap forward. Unfortunately, traditional schooling only measures part of a child’s learning growth. Plus, there are periods when a student may not show any academic progress. But, this lack of academic growth does not necessarily indicate a lack of learning. Instead, learning must be measured from a whole student perspective. Therefore, you should also evaluate growth in your student’s faith life, character traits, social skills and physical abilities. This will provide a more comprehensive picture of progress. THSC Membership Has Its Benefits for Special Needs Families! All THSC members have access to the THSC Special Needs department for unlimited consultations, which include help in picking out curricula that will best fit the needs of your child and your homeschool! Find out more how your family can benefit from a THSC membership. Did you find this article encouraging? If so, share it with friends and sign up for email notifications for more encouraging articles.